Tony’s postal career began in June of 1994. He started as a Letter Carrier, then moved up to Supervisor, working in those positions for four years each. In 2002, he earned the title of Postmaster, a position he has never vacated. Since then he’s served in numerous OIC positions, and is currently Postmaster of Mims Florida. Prior to the merger of NAPUS and The League, Tony served in the following positions in NAPUS: He was National Membership Chair in 2007-2008; National PM Rep in 2009; and National Vice President for Area 2 in 2010-2011 before assuming his responsibilities as National President for the term of 2014-2017. In November of 2016 Tony began serving as National Co-President of UPMA, representing over 25,000 active and retired members. He is committed to bringing these two organizations together to improve the quality of life of all Postmasters and Managers across this great country. He believes to ensure this we must face the future united and confident with a common vision. 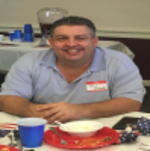 Tony currently lives in Alexandria Virginia with his wife Karyn and his daughter Isabella. A fiscal 2018 greetings to our members. FY 2018 has started off with a whirl wind of activity. I will save my thoughts on how we and the USPS handled the holiday season for another article. Two subjects that need immediate attention are our upcoming state convention slated in June 2018. We will be on the East coast of the state below Melbourne. Florida is such a large state we always consider travel from all points to the convention, this year’s location is centrally located as possible as allowing us to try new areas of the state. You will find more information at http://www.upmafl.org/convention.htm on the exact dates and special incentives to attend. We will have the District manager’s forum along with training and special guests. Whether you’re interested in upward mobility in UPMA or in the Postal Service this convention will be the place to be. You will have opportunity to meet and discuss your issues and concerns with District leadership and UPMA Executive members. The convention will begin Thursday evening, classes on Friday and Saturday returning home on Sunday. The hotel is family friendly, you can stay the entire time or just come for one day. If you’re interested in becoming more involve with UPMA we welcome you with open arms. Our organization is growing and with growth opportunity is always around the corner. We have a wide range of positions for every skill set. We will be electing a new President and several other key positions. Running the risk of repeating myself, your chapter needs you, your fellow postmasters, managers needs you, you associate members need you, If not you, then who? If I can leave you with one closing thought for you and all our members: get involved. Our employer, our organization and our world are changing at a blistering pace. With new technologies, policies and procedures, the old days of just riding the wave are gone. The slogan of “I didn’t know" just doesn’t cut it anymore. If you don’t sharpen your skills, sharpen your knowledge, sharpen your networking, you will be ill prepared to perform you duties efficiently and effectively. Knowledge is the “new currency”, how wealthy are you? Are you investing in yourself, do you have a savings plan?, do you have a goal? Thank you for your time and hope to see you at the state convention in June. I have been a Postmaster for 28 years. I enjoy fishing, walking and reading. A true asset to my career has been the fellowship and meeting new friends from all over the country. When I attend National Conventions, the exchange of information and networking are some of the many reasons I joined the NAPUS Postmaster organization. Also the encouragement from Barbara Gard, Barbara Whidden, Rodney Boland , Warren Harden, and Donna Loud; who encouraged me to run for an NAPUS office and be part of the organization which I was so proud to do. Now it is your time to be part of our new organization United Postmaster's and Managers of America. I encourage all of you to adopt a Manager or Postmaster and bring them with you when you attend our UPMA State Convention in June. Then they can be one of our new board members and take the Lead. 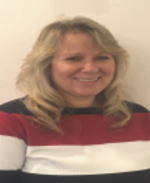 Lori started her career with the Postal Service in 1987 as a PTF Clerk in Burdett NY. Later, she transferred to Interlaken, NY, coincidentally where our Editor, Ralph Viegelmann was her Postmaster. After transferring as a clerk to Wellsburg, NY then to Watkins Glen, NY, she became Postmaster of Montour Falls, NY in 2001. Lori, with her husband Bob and their two boys, Tommy and Robby sold their sheep farm in Watkins Glen, NY and relocated to a warmer part of the country, Smithville, GA in 2005 where she became Postmaster after being OIC. In 2010, Lori was promoted to PM of Plains, GA where she became Jimmy Carter’s Postmaster, her claim to fame. PostPlan moved her on to PM Cuthbert, GA and later promoted to PM Leesburg, GA. In preparation for retirement, Lori and her husband decided to go further south to a quaint, little town in FL called High Springs. This is where she is currently PM and plans to retire from in 5 yrs, 6 mos and 25 days . When she is not counting the days until retirement, she enjoys watching Hallmark movies with her husband, reading and hanging out with family and friends. Throughout Lori’s Postal career she has had the opportunity to serve in various jobs, such as a Review Board Member, Transfer Official, Postmaster Essential Facilitator, SOX SME and Retail Kaizen Team Member to name a few. 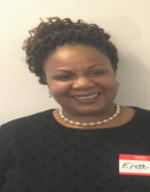 She was a member of NAPUS since 1993 and has served as an officer on the Executive Board in both New York state and Georgia fulfilling various positions. Currently, as Secretary for Florida UPMA, she looks forward to joining the board in serving our members and working to move the new organization forward. John Started as a career Postal employee in 1981in Buzzards Bay, MA after serving several casual appointments. Worked as a Window clerk in Falmouth and Woods Hole, MA and City carrier in Cedar Grove, NJ before transferring to Longwood FL in 1987. When Mid FL was opened I was excessed from Longwood and in 1991 transferred to Plymouth, FL as a Window clerk. Promoted to Postmaster in Plymouth, FL in 2005. I have attended every NAPUS National convention since 1989, first as a guest of my mother, Janet Buck West Falmouth Postmaster retired, and then as a member after joining NAPUS after my first OIC appointment. I also have a sister that recently retired after 40 years as a City carrier in Fort Lauderdale, FL. Married in 2002 and currently live in Apopka, FL. My wife, Gale, and I like Line Dancing, tailgating at UCF home games, boating, traveling, and most Sunday’s you can find me on the golf course. Arch began his career with the USPS on May 16, 1981 as an LSM clerk on Tour 1 in Tallahassee, FL. Four and a half years later he was a successful bidder on a window clerk position at the MPO. Most of his time between then and 2004 was spent as a window clerk at various Tallahassee branches. After a very successful stint opening the new Tallahassee Killearn Station, he was promoted to Retail Specialist for the North Florida District and began his EAS career. From there, he held positions in Sales for both the district and headquarters. As time passed his desire to become a postmaster increased. Arch accepted OIC positions in Woodville, FL and Sopchoppy, FL to gain some experience. Once his OIC obligations were complete, he accepted a Supervisor/Customer Services position in Crawfordville, FL. After several years of honing his skills, Arch successfully applied for the Postmaster position in Monticello, FL. After serving for about one year there, the same position became available in Crawfordville, FL and is the office he still serves in today. Arch have been married to his wife, Shellie Stallings Rogers for 29 years. She is a School Psychologist with Leon County Schools in Tallahassee. They have a son, Hayden Rogers, who is currently attending Florida State University to attain a degree in Computer Science. He has already completed a degree from FSU in Information and Communications Technology. They also have a daughter, Avery Rogers, who is a sophomore at Florida State University. She was accepted into the Athletic Training Degree program last fall. What would Arch like to accomplish as a Florida UPMA Officer? Postmasters, Managers and Supervisors are the lightening rods of the USPS. He would like to increase awareness of UPMA as a support mechanism for all in our ranks. She began her first Postal career in 1990 as a casual in Valdosta, GA and in 2001 was hired as a Part- Time Flexible (PTF) Clerk in Valdosta, GA. where she maintained a commitment to providing excellent customer service. During her 17 year career, Ms. Carmichael has served as Supervisor, Customer Service in Valdosta, GA, (A) Station Manager in Savannah and Saint Simmons Island and OIC in Tifton, GA. She was selected to Postmaster of Madison, FL in 2014, where she currently serves. Ms. Carmichael has served on various District Teams including, Function 4, City Route Inspections, Rural Adjustments, District Intervention and Safety. 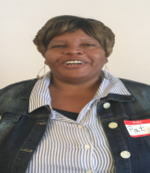 She is a certified Postmaster Essentials Facilitator and is in the EAS Leadership Development Program. She enjoys serving in UPMA, meeting new people and staying informed. Ms. Carmichael has a beautiful daughter (Alexis) who is a Senior in High School and a loving mother who is a Breast Cancer Survivor. Rick is the Postmaster of Palatka, FL. He has been with the United States Postal Service 24 years (11 years as a Postmaster), and proudly served in the U.S. Navy for 4 years. Rick was elected as one of two (2) UPMA Vice Presidents for the Suncoast District and is very happy and excited to be in this role. This is the second year being a VP. . When he was a supervisor in Saint Augustine 2004- 2007 his then Postmaster, Stephen Kirkland, invited him to go with him to a NAPUS meeting at Gator Landing Restaurant (now called Corky Bells) overlooking the Saint John’s River in Palatka. He remembers walking into the large room where the lunch/meeting was being held and was pleasantly taken back by all the Postmasters that were in attendance. There was at least 20-25 Postmasters there and thoroughly enjoyed the meeting. Everyone was engaged and you could see the comradely in the room. At that moment Rick realized he wanted to be a Postmaster and be a part of such a great association. 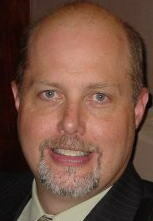 Rick became a member of UPMA (NAPUS) as soon as he became a Postmaster in 2007. He started attending all the meetings and state conventions. Not only has he been able to receive valuable training and information at the meetings/conventions, but the networking with all the Supervisors, Station Managers, Postmasters, Mpoo’s, District Managers and even the Area Vice President. This organization has been nothing short of exemplary for him. Rick says "it is reassuring to know that I am a part of an association that has my back". He knows and feels that he has improved as a Postmaster with the time that he has invested into UPMA. Labor, finance, Human Resources are areas where Rick has improved by attending the State Conventions and listening to the guest speakers that present on these subjects. Finally, let’s all commit to actively recruit more supervisors, OIC’s, Station Managers, Postmasters to become a part of this great and wonderful association. Rick is in the planning stages of having a UPMA meeting in the 321 area and hope we can all make it and bring a neighboring office manager who is not a member to see what they are missing. Patricia has been Postmaster of the Palm Beach, FL Post Office since 2010. After 17 years as a Supervisor she began her tenure as Postmaster in 2005 when she was promoted to Postmaster, Belle Glade FL. Her career has taken her into multiple functional areas of the Postal Service. Patricia has held varying levels of responsibility in Mail Processing, Operations Support, and Customer Services Operations. She is a US Department of Labor Certified Injury Compensation Specialist, a certified EEO Counselor/Investigator, a certified facilitator for Stephen Covey's Seven Habits of Highly Effective People, as well as a facilitator for various Postal Service training initiatives. Though her career has provided her a wealth of experience, it is her walk of faith with the Father, Son and Holy Spirit that has provided her greatest joy. She is blessed to be married to Ralph Johnson, the blessed mother of Joshua Johnson and blessed to have raised her niece Tiahna Freeman. Ralph started his postal career the week he turned 18. He took the exam when he was 17, at the constant urging of his father, who was a letter carrier in Baldwin, NY (Long Island). That was in 1964. The Army grabbed him in 1966, he got married in 1966, he and Jeanette lived in Okinawa for 18 months. He returned to the Baldwin Post Office in 1968, took the supervisor test and was promoted to supervisor on the night shift with the distribution clerk team. Ralph reverted to carrying a short time later due to a reduction in force. 1980 found him transferring as a city carrier to Binghamton, NY, where he carried mail for two years before being appointed to Postmaster, Lodi, NY~ in the heart of the Finger Lakes Region. He then was appointed Postmaster, Interlaken, NY where he retired with 37 years of service. In 1973 Ralph tried a year in the Army Reserve. Nineteen years later he also retired from the Army with 26 years service as a Master Sergeant. He was the Chief Instructor for a Combat Engineer team in Binghamton, NY. Ralph has been a member of NAPUS since 1982, and now a member of UPMA. He was county president in NY for 6 years, and served as NY Retiree President for two years. Ralph and Jeanette moved to NC in 2007, and he was appointed the Area Rep for NC, SC, GA, and FL for the Retirees. A great position and he met many great Postmasters, both active and retired. Ralph also served as Retiree President for the NC Retirees and was honored as the Retiree of the Year. He then served as Editor for NC for 4-5 years. Ralph and Jeanette bought a “condominium campsite” in 2002 in Crystal River, FL. Ralph and Jeanette have two children, Jessica and Ralph, and 6 grandchildren. Jeanette passed away in 2016 and since then he has just kind of “floated” around, trying to figure out what is next in his life. They were married 49.5 years. Before her passing, they had decided to sell their home in NC and try full timing in our fifth wheel camper. Ralph is trying to uphold that legacy. NAPUS and now UPMA has the unique advantage of networking and training. Over the years Ralph have been able to sit and just chat with Area VP’s, the PMG, District Managers, Inspectors, etc. Where else can you have that opportunity? He says "I look forward to working with the Florida Chapter in the forthcoming years. A lot of the present terminology is alphabet soup to me, but the main principles of SERVICE remain the same."